What are behavior based energy efficiency (BBEE) programs? BBEE programs focus on energy savings resulting from changes in individual or organizational behavior and decision-making. 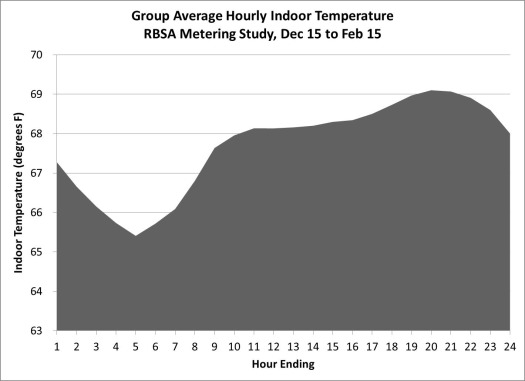 For the most part, BBEE programs use some sort of energy use feedback mechanism to show the enduser how much energy they have used compared to another point in time. Provide residential end-users with information on their energy use, comparisons with usage by others, goal setting, rewards and additional tactics that encourage efficient energy use. Assist commercial end-users to benchmark their building(s) energy use and improve operating performance through building or equipment tune-ups and changes to O&M routines. This group is dedicated to the study and implementation of behavior based energy efficiency programs. You don't have to be an expert to join. President & Chief Innovation Agent of Verinnovation Inc. Communicating the value of energy innovations. Summary of the many sessions I attended at the 2015 E source Forum. Sounds like SMUD is leaning toward time of use rates for everyone to save energy and shift loads. Want to save energy? Just ask nicely. The surprising ecnomic power of polite reminders when trying to save energy. Potentially of interest to those of us who think about behavior change!Posting in case anyone else finds it helpful! This is a test of the Is Unlisted file flag. The Wenatchee World tells its readers in no uncertain terms why energy conservation is a good idea in Chelan and neighboring counties. Behavior-Based energy efficiency is manipulative. Is Big Data Really a Big Deal? BBEE programs and vendors: Have any to add to the list? Behavior-based energy efficiency programs: Which camp are you in? This blog discusses our efforts to drive energy efficiency through educating our youth, and aims to encourage readers to do the same. Full Disclosure: Coming Your Way? Behavior Change all the rage at Efficiency Connections NW! Moving Beyond Econometrics to Examine the Behavioral Change Behind Impacts - Anne Dougherty, et. al. How industry can improve energy efficiency without big capital investments. What's new in behavior based energy efficiency and who's doing it in the Northwest? Ricoh's behavior-based predictive model: blessing or blind spot? Short, well written, though generic article about the concept regarding residentially based behavior programs. Behaviour and energy effinciency in the home. What questions should be asked of BBEE implementing utilities? What questions should be asked of BBEE vendors? "So, you want to run an experiment, now what?" Community-based residential EE program- RePower! What is most important when it comes to effective conservation?